Take 20% off Easter Sale + Free Shipping at $75 with code SALE. $7 Urban Decay Troublemaker Travel Mascara Was: $11. Receive a Complimentary Tote with Any Two Item Purchase from The Versace Women's Fragrance Collection. Shop Now at Macys.Com! 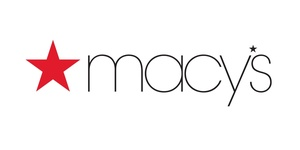 Macy's, delivers fashion and affordable luxury to customers to more than 100 international destinations. Macy's offers distinctive assortments including the most desired family of exclusive and fashion brands for him, her and home.